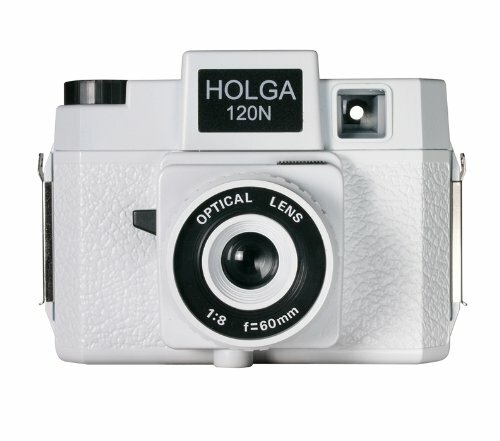 One of the most iconic toy cameras available, the Holga 120N is characterized by the unique image quality it is able to produce, along with its modest design and minimal controls. Featured here with a black finish, the Holga is best known for its standard-length 60mm f/8 plastic lens that produces a soft, dream-like aesthetic, which is further accentuated by the inherent vignetting and light leaks caused by the plastic body and simple construction. A choice between f/8 or f/11, or "cloudy" and "sunny", aperture settings is available, along with 1/100 sec. or bulb shutter speed settings and a zone focus system for focusing as close as 3' away.With a Ilford's HP5 Plus Black and White Negative Film is a traditional and versatile panchromatic film designed for general use in a wide variety of shooting conditions. The brand new Diana F+ is a faithful reproduction and a loving homage to the classic Flash Diana - with a few new features tossed in. First off, it includes a retro-styled electronic flash which fires a burst of white or colored light at your subject. Included adapters allow you to use the Diana Flash on standard hotshoe cameras (like the LC-A+ and Fisheye 2) or use a hotshoe flash on Diana F+ body. Its plastic lens, 2 shutter settings (daylight & "B"), 3 aperture settings, and manual focus are all hallmarks of the original Diana. And on top of that, the Diana F+ offers a removable lens and super-small aperture for pinhole images, two image formats (12 or 16 square shots on a standard 120 roll), an endless panorama feature that allows for unlimited and nearly seamless panoramic shots, and both a standard tripod thread & shutter lock for easy shake-free long exposures. Each package includes the new "Diana Vignettes, More True Tales & Short Stories" book - packed with over 200 pages of Diana history, Diana+ images, and truly off-the-wall fictional stories. Uses all varieties of medium format 120 film. The Diana Flash works via a two-pronged plug adapter just like the original. It plugs directly into the Diana F+ camera body. The world famous Medium-format wonder! 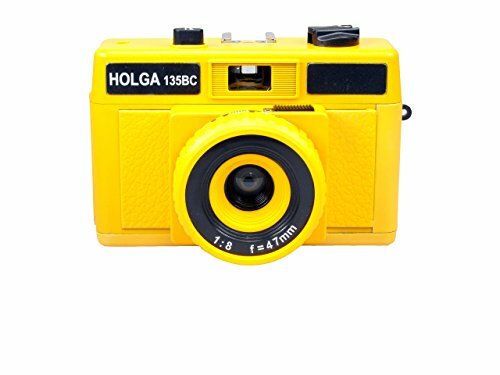 A cult favorite with a fanatical global following, the Holga produces extraordinary low-tech works of art with the bare minimum of mechanical function. 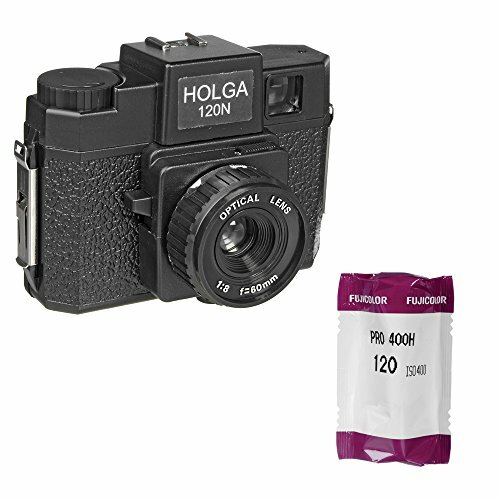 Soft focusing, full double-exposure capability, intense vignetting, and unpredictable light leaks all contribute to the Holga's incredible photo effects. 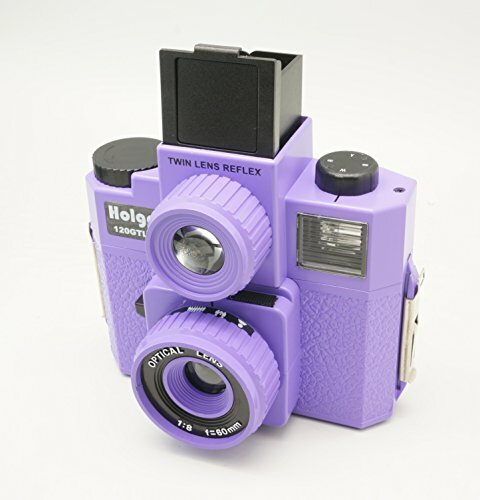 Each Holga is unique and produces signature images and peculiarities of its own. Buy several and throw some wood on your creative fire! Uses 120 film. Included in this Kit is Fujifilm Fujicolor PRO 400H Professional Color Negative Film (120 Roll Film). Bulb exposure selector for extra long exposures. The camera body and the back (matching insert) were serviced and went through a CLA. They operate at factory specifications. This is a $350+ value by itself! It is now an incredible pleasure to use this camera and hear and feel the mechanism operating so smoothly! Each picture from this camera can easily be scanned to 200Mbytes, leaving in the dust the very best ($15K+) DSLR's from Nikon, Leica or Canon. The camera was upgraded with the following options: An A12 magazine, late model. This is a $250 value A great bright 41188 focusing screen with split-image This screen makes focusing much faster, easier and more accurate. 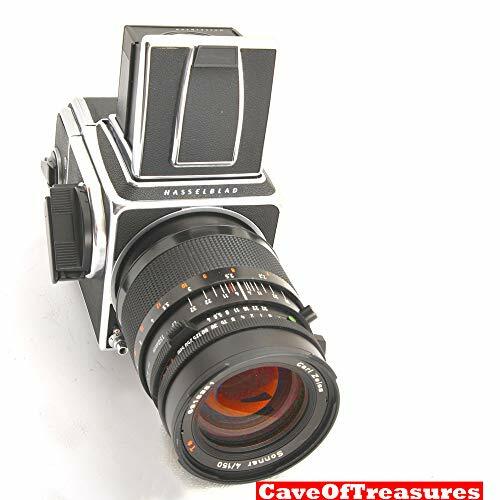 This is a Unique opportunity to acquire one of the best Hasselblad 500C/M complete system in great cosmetic and working condition. This camera system IS NOT sold "as is": The camera, back and lens are covered by our return policy and our thirty days warranty. The camera body is in mint condition. The plate of this camera shows almost no sign of use. The included Carl Zeiss Sonnar 4/150mm CF T* lens is incredibly sharp, with pristine glass. This lens has been the favorite lens of fashion magazines and other high quality publications for 30 years. From portraits to nature, this lens has produced among the best pictures published around the world. All speeds, including slow speeds, have been electronically tested and are accurate. The camera and lens have been tested with a digital back (Hasselblad). 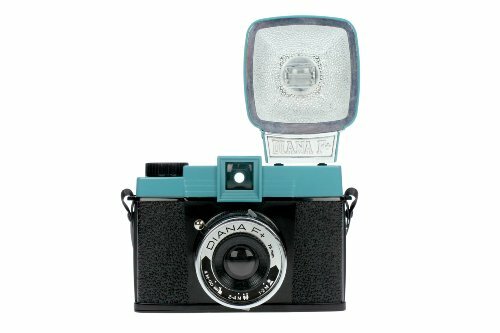 Dating back to the early 1960's, the all-plastic Diana camera is a cult legend - famous for its its dreamy, radiant, and lo-fi images. 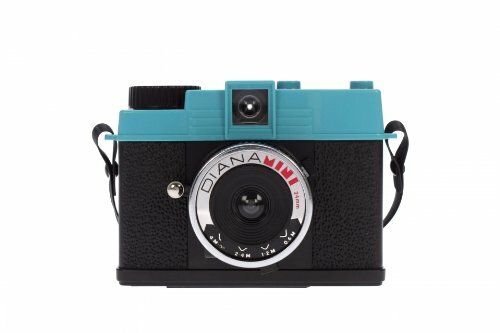 The brand new DianaF+ is a faithful reproduction and a loving homage to the classic Diana - with a few new features tossed in. Its plastic lens, 2 shutter settings (daylight & "B"), 3 aperture settings, and manual focus are all hallmarks of the original Diana. But on top of that, the DianaF+ offers a removable lens and super-small aperture for pinhole images, two image formats (12 or 16 square shots on a standard 120 roll), an endless panorama feature that allows for unlimited and nearly seamless panoramic shots, and both a standard tripod thread & shutter lock for easy shake-free long exposures. IT now also is compatible with the Diana flash. Each package includes the beautiful "Diana Vignettes" book - packed with over 200 pages of Diana history, Diana+ images, and truly off-the-wall short stories. Uses all varieties of medium format 120 film. Lens removes to convert your camera into a ready to use pinhole camera. We are pleased to announce the arrival of the Diana+ Deluxe Kit. 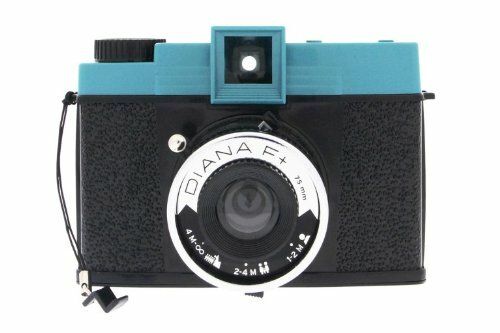 Now, for the first time the Diana+ can be found together with all her accessory kinsman. That s correct - every Diana+ accessory you can think of is right here ready to roll. Go forth and diversify your Diana+ experimentation with the comprehensive collection of tools and accessories. Discount Talks: The best thing is that when you buy the complete Diana collection of goodies - you get a huge discount off the price of buying each piece separately. Everything you need to experience the Diana + camera in one complete and beautiful package. 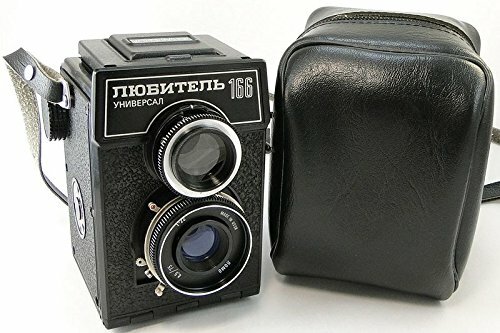 Contains Diana+, Diana Flash, Hotshoe adaptor ,Cable Release Collar and cable release, Diana 35mm Adapter Back+ 4 masks for 4 35mm formats (square, sproket panoramic,square panoramic, standard 35mm frame). 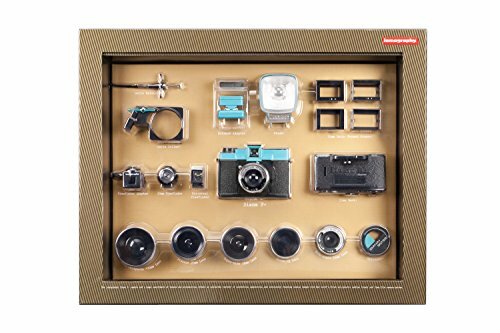 It's the ulimate gift for any plastic camera lover, photgrapher, camera collector, and Lomography fan! The Camera is in Perfect Working Order and Looks Great! Everything work properly: The shutter works as Swiss watch. The viewfinder is clean and clear, no dust inside, no fungus or haze. No any damages on the body of camera. The Lens: no fungus or haze. The diaphragm-control ring turns smoothly and accurate. The focusing is smooth. Film: 120 type (60mm) Frame size: 6x6 centimeters Shutter speeds: 1/15 to 1/250 and "B" Lens: T-22 4.5/75mm Focal length: 75mm Relative aperture: 1:4.5 Scale of diaphragms: from 4.5 to 22 Focusing range: from 1.3m to infinity I ship to any country. This item will be shipped to you from Europe (Ukraine) The item will arrive in 1-2-3 weeks to your place (it depends upon your country). TERMS AND CONDITIONS I offer a 100% money back guarantee on all my sales. I always try to describe item as good as possible, to check everything out for you could be satisfied with your purchase, but nobody is perfect and me too. If when you open your item you find you are not completely happy, or you feel it was not as described in the auction description, contact me immediately and I will refund all your costs (once item is returned). Now, to further commemorate the 30th Anniversary, these models actually glow in the dark! 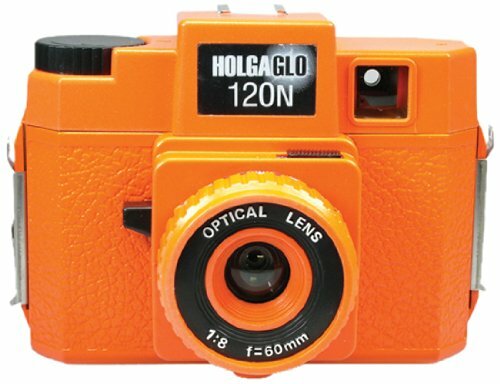 Just expose to white light, shut off the lights and watch your Holga, Glow in the dark! Grab it, load and say, "I shoot things Holga." 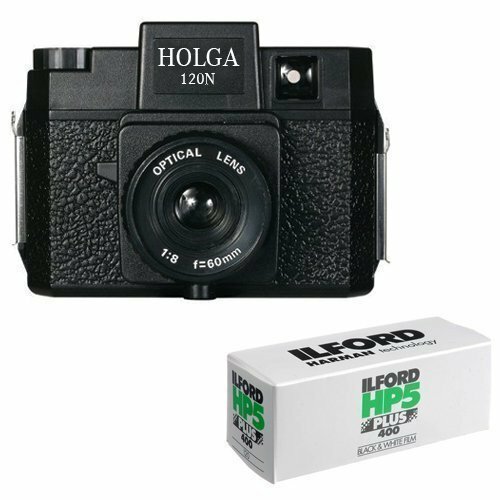 The 30th Anniversary Limited Edition HolgaGlo Glow in the Dark Cameras are available in 120 medium format cameras and 35mm cameras. They are available in Solar Yellow, Infra Red, Ultra Violet and Aura Orange. The Holgawood Collection - Casablanco Of all the camera shops in the world, she walks into mine. A dame with skin so pearly white she'll break your heart... that's how quickly you'll fall for her. Maybe not today, maybe not tomorrow, but soon and for the rest of your life. It's easy to see why, pal... when you hold her in your hands, snapping pics of the usual suspects, she just make you want to say, "Shoot it again, Sam". How do you fight a girl like that? ...you don't. So pick her up today, bud. After all, this could be the start of a beautiful friendship. 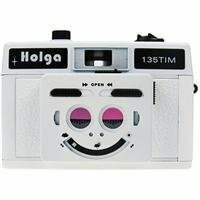 Introducing the new Holga 135TIM 35mm 1/2 frame, multi-image camera. With this new little gem you can shoot two half frame exposures at the same time or one after the other. You can also reset the shutter so that you can multiple expose your images without advancing the film. 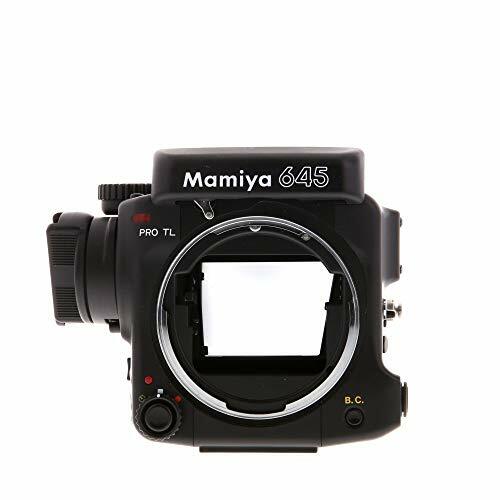 Mamiya 645 Pro-TL incorporates mechanical, electronic, and optical technology. The 645 Pro-TL has 6x4.5cm format that is 2.7 times larger than a 35mm SLR camera. 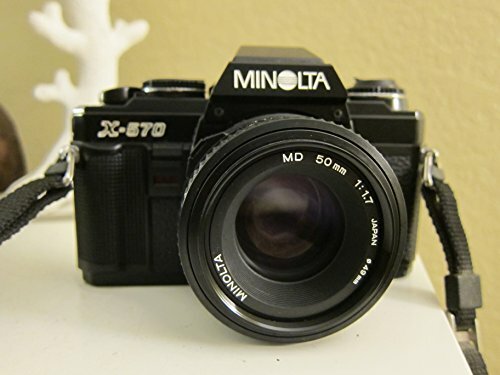 Its erogonomic and modernized design delivers the handling ease of a 35mm SLR camera. It produces larger negatives and slides in perfect 8x10 format. 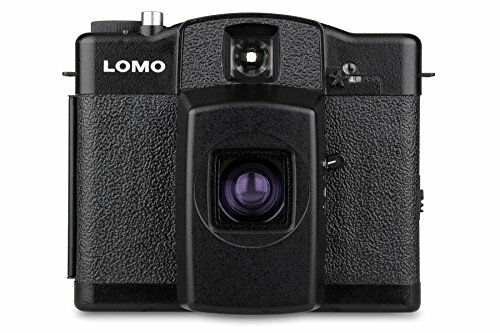 Additional features includes built-in self-timer, interchangeable film magazines and viewfinders and perfect flash exposure with a compatible flash unit. The 645 Pro-TL promises quality and versatility for the passionate amateur or serious professional. 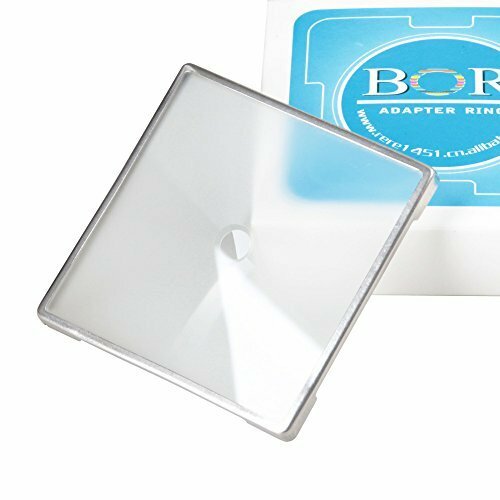 One PCS of bright 45 degrees split image focusing screen for Hasselblad, size 55.7x55.7x1.7mm, made of optical plastic with metal frame, brand new, comes with box. Compatible with Hasselblad 500 Series and 200 Series. One PCS of bright 45 degrees split image focusing screen for Hasselblad. Made of optical plastic with metal frame, brand new, comes with box. Compatible with Hasselblad 500 Series and 200 Series. Ultra-Compact:The Diana Mini is exactly that; take it with you on all your photo adventures. Two Photo Formats: You can pick from 2 completely different photo formats. Either go for 36 square photos or shoot a whopping 72 photos on a roll with the half-frame mode. Simple Exposure SettingsSunny day? Switch to the sun icon. Looking dull? Switch to the cloud setting. The Diana Mini makes setting your exposure easy for anyone. Multiple and Long Exposure Capabilities:Easily take multiple and long exposures using the uncoupled shutter advance and'Bulb' setting. Uses Convenient 35mm Film:The Diana Mini uses all kinds of 35mm film which is easy to buy and develop. With tons of features including a 0.6m closest focusing distance, 4 step zone focusing, multiple exposures, long exposures with rear curtain flash, cable release & tripod thread, a fantastic wide angle glass lens & programmatic automatic exposure - this is your new pocket perfect 120 camera! This is a great camera kit, including a body and a lens, for photography students.